Outdoor seating at Red Oven Pizza Bakery. What Is Red Oven Pizza Bakery? As with most quick service restaurants, you order your food and pay for it at a counter inside the restaurant. Then, you seat yourself. When your food is ready, a server brings the pizza to your table. You can also order your pizza to go. If you do this, you order and pay at the counter inside, and then sit at a table. A server will bring the pizza out to you in a box when it's ready. Red Oven Pizza Bakery opens at 11:00 am and closes at 2:00 am. We recommend visiting at lunch or at night for a very late dinner. This pizza place sells ten different pizzas: five with white sauce and five with red sauce. Other offerings include salad, beer, wine, and sodas. Salads and pizzas cost $11 to $14. You should expect to pay $7 to $9 for beer or wine. The scooter parked outside of Red Oven Pizza Bakery. Universal annual passholders with a Preferred or Premier Pass can save money at Red Oven Pizza Bakery by showing their annual pass. There is a 10 percent discount for Preferred Pass holders and a 15 percent discount for Premier Pass holders. Don't expect a discount with a Power Pass. There is some misinformation out there about Red Oven Pizza Bakery delivery options. Per Universal Guest Services, the restaurant does deliver, but only to CityWalk's Rising Star, a karaoke bar that does not serve any food. 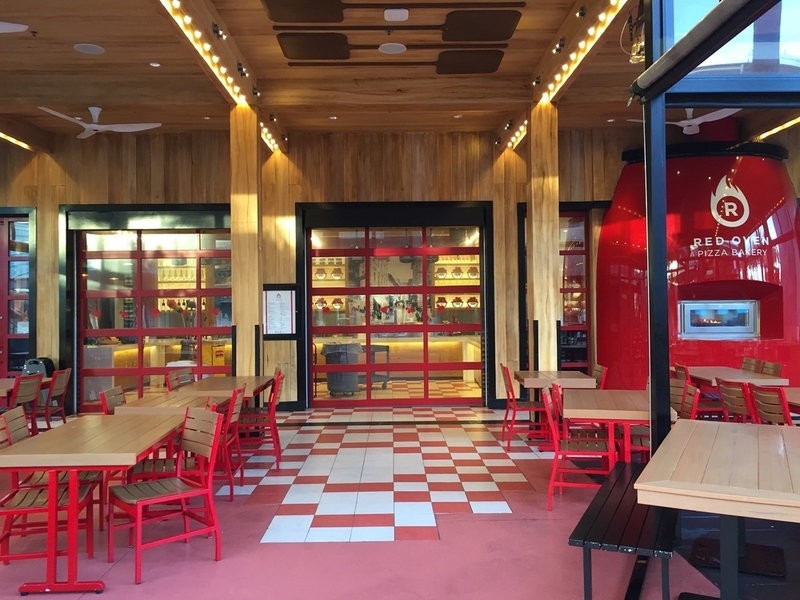 Red Oven Pizza Bakery has multiple seating options. There is covered and uncovered seating outdoors. Beware of the uncovered seating on really sunny days; by the time you leave, the pizza oven might not be the only hot thing on the premises. It's easy to get a quick meal. CityWalk is a great place to eat, especially for lunch and dinner, but the restaurants can fill up fast certain times of the day, which can leave you waiting for a table. At Red Oven Pizza Bakery, you don't really need a table. You can get your pizza to go and then eat anywhere in CityWalk. Or if you're staying at a hotel on site, you can get your pizza to go and eat it in your room after a long day (just be prepared for jealous looks from fellow water taxi passengers who have to ride with you and your delicious-smelling pizza on the way back to the hotel). The prices are reasonable. The pizzas cost about $14 each and are large enough to share between two or three people. It is fair to say that a pizza at Red Oven Pizza Bakery is one of the most shareable and cheapest meals in CityWalk. The food is really good. 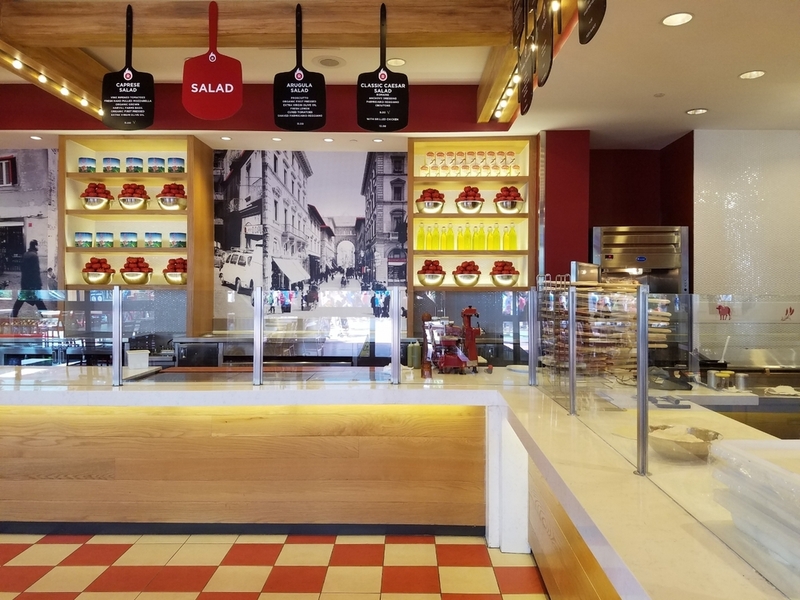 There are lots of places to get a quick or reasonably priced meal, but the fact that the pizza is actually tasty is the primary reason we like Red Oven Pizza Bakery. We are especially fond of the Big Eye Pepperoni Pizza, which has a yummy red sauce, plenty of gooey cheese, and huge pieces of pepperoni. 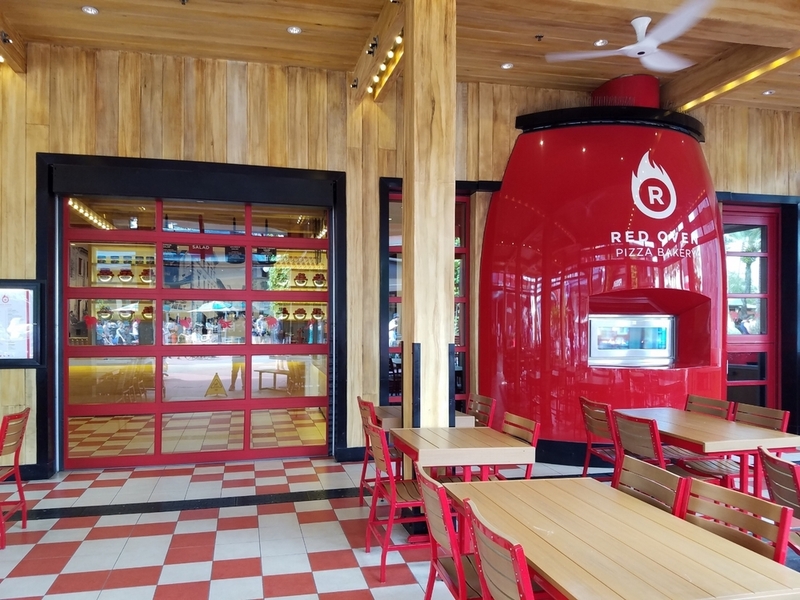 See pictures of Red Oven Pizza Bakery in this image gallery. Red Oven Pizza Bakery is number 10 on this CityWalk Map. Locate the number 10 to find Red Oven Pizza Bakery on this map.